Sometimes all you need is a great light fixture to add something special to a room. @kathykuohome shared this gorgeous pic on instagram and I keep noticing so many great things about it. 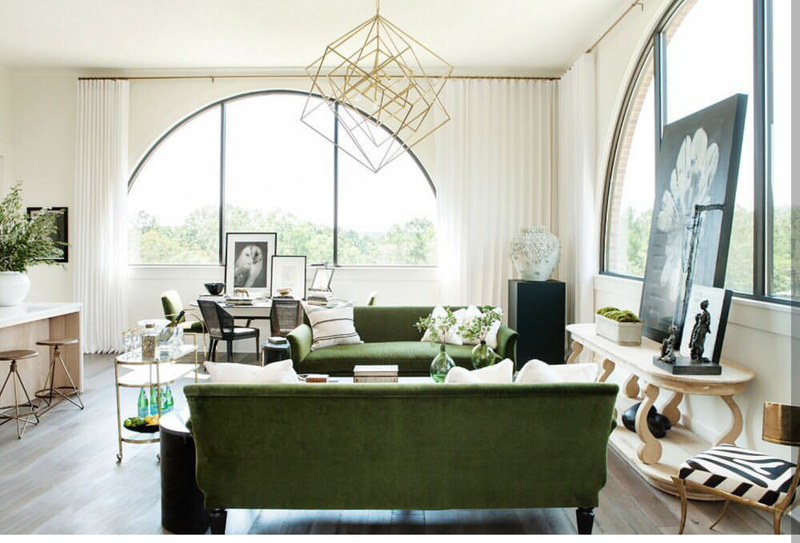 The subtle patterns mixed in, the pops of green color, and great art! But I really love this chandelier! Light fixtures can make all the difference ina room, and when remodeling or redesigning consider the impact they can have! They can make a small room seem large and bright or bring down the scale to make a warm cozy spot in your home. This one just really sings to me! What do you think? LOVE the light fixture! I’ve been looking for something similar and in an affordable range. Any ideas where to look? I was recently looking at http://www.wayfair.com they have a great selection and are really well priced for the majority of their designs! Hope you find just the right one! https://www.wayfair.com/Vaxcel-Rad-4-Light-Foyer-Pendant-P0187-VXL3295.html maybe check this one out! Very similar but in black. You can also find this exact chandelier at http://www.katgykuohome.com search cube chandelier I believe they run around $1500 on her site. Again good luck! Previous Entry Kind of fancy for a Wednesday!